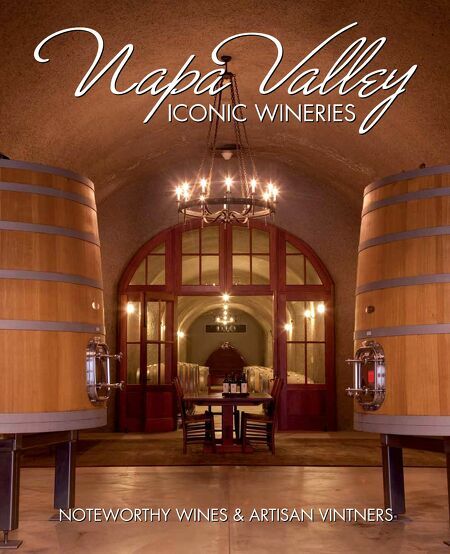 Welcome to the Iconic Wineries Napa Valley eBook by Panache Please turn the page to get acquainted with Napa���s finest wineries and best vintages. 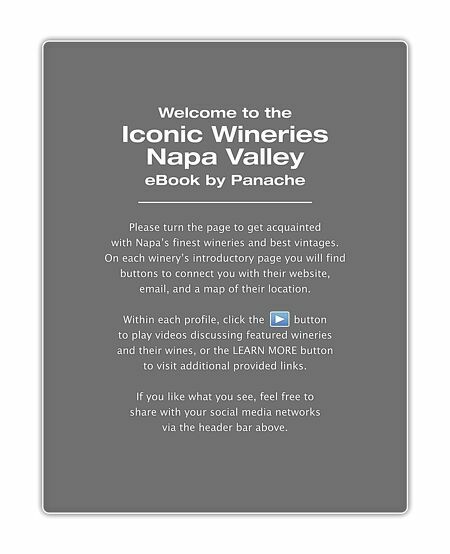 On each winery���s introductory page you will find buttons to connect you with their website, email, and a map of their location. Within each profile, click the button to play videos discussing featured wineries and their wines, or the LEARN MORE button to visit additional provided links. If you like what you see, feel free to share with your social media networks via the header bar pulldown.